It’s the opening night of E3, and we were fortunate enough to land an invite to check out some games from Microsoft for several of their platforms. 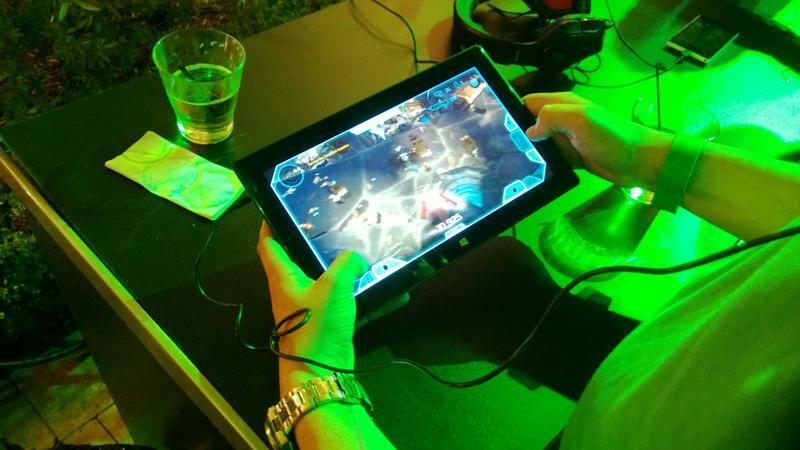 One such game was the upcoming mobile and PC title, Halo: Spartan Assault from 343 Industries. By and large, the game feels and plays great. The left thumb placement moves the player, while the right fires weaponry. There’s some space for drift while playing, so those of us who tend to slide fingers up and down won’t have an issue with missing the virtual sticks. Switching weapons is done with a quick button tap, and the same goes for grenades. If something in the environment can be picked up or interacted with, you’ll just approach it and tap a separate button and roll on. Twinstick shooters are one of the only genres I genuinely love on mobile devices. Halo: Spartan Assault mostly fits the bill of being solid. It doesn’t hurt that it carries the Halo brand, but it’s a seemingly well polished title aside. There were some moments where the mostly fluid controls seemed to take a nosedive into flimsy territory. In particular, I was able to hop into a Wraith during one quick mission. While the firing worked well enough, between the massive lasers and rapid fire guns, steering the tank in tight spaces was a bit cumbersome. Considering that the rest of the game felt relatively solid, this moment in play was awkward and stood out as needing a little more polish. Put plainly, this is a tried and true twinstick shooter on a touch device. I played it on both a Microsoft Surface and a Nokia Lumia 928, and it looked great on both devices. Anything that runs Windows 8 or Windows Phone 8 will be able to play the game. It’s set to launch in July for $6, but there will be DLC down the line. I’ll be honest, $6 is a little bit steep for a twinstick shooter in today’s gaming world; however, the Halo brand and standard of quality means that it will be well worth the price of entry for series fans itching to play something on their Windows devices. Those with a passing interest, however, might want to wait until the full release comes and we get some major opinions before you make your mind up to buy. Further hammering home the fact that series fans will probably be more interested in this game is the news that playing Halo: Spartan Assault will unlock stuff in Halo 4. What stuff? The rep from 343 wouldn’t say. We’ll have more on this one as it comes. 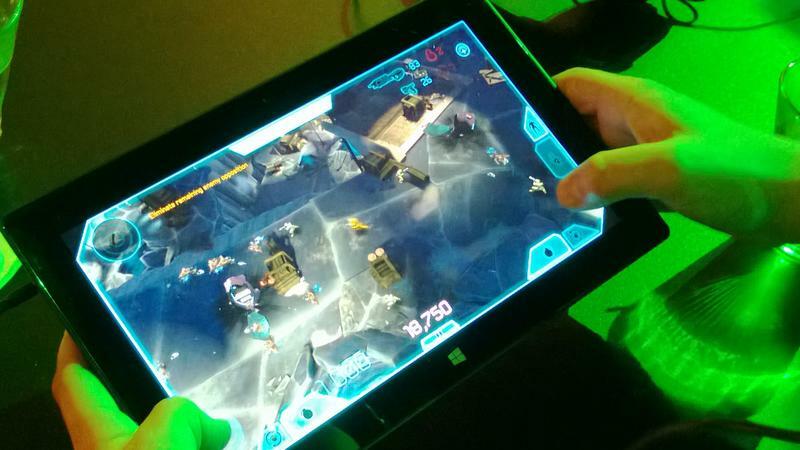 Halo: Spartan Assault will hit Windows 8 platforms this July.